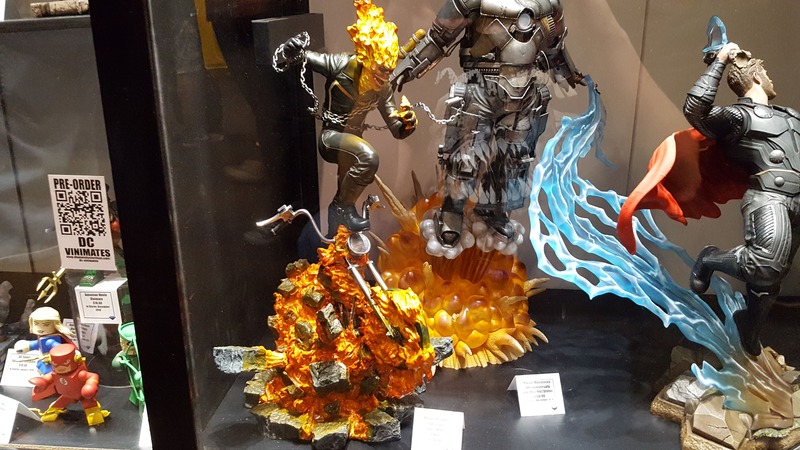 Diamond Select at NYCC 2018: New Black Panther, Hulbuster, Ghost Rider and more – AiPT! Look at that Ghost Rider! You’ve gotta hand it to Diamond Select. They somehow continue to turn out quality, beautiful PVC statues at the most affordable prices you’ll find, by a wide margin. And there were plenty of new reveals at New York Comic Con 2018, so let’s get right to it. Wait, that’s not enough Ghost Rider. And who’s that behind him??? And behind HIM, a Hulkbuster for only $50?! If you want a high-end Hulkbuster, there’s that, too, for $1,500. Awesome Punisher, due out next summer! Also, Cloak and Dagger! Carnage is still cool, but pushed back until the spring. Maybe Hobgoblin chased him off! Check that one out, along with all the other great Marvel statues and busts from Diamond Select.